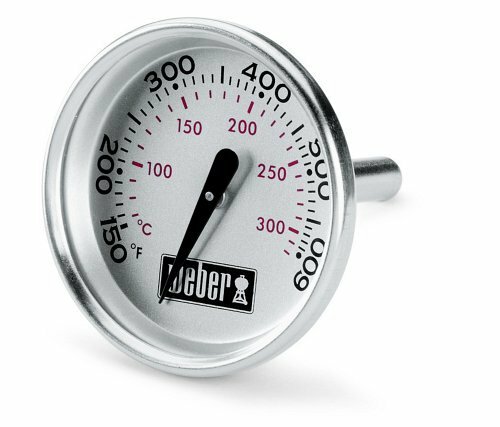 Weber 60540 original OEM replacement part. 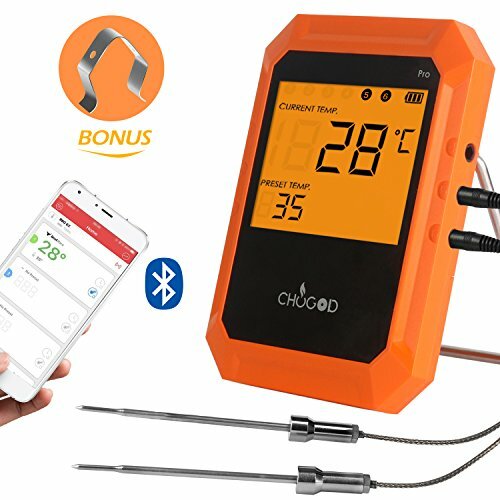 Includes thermometer with short probe and wing nut. 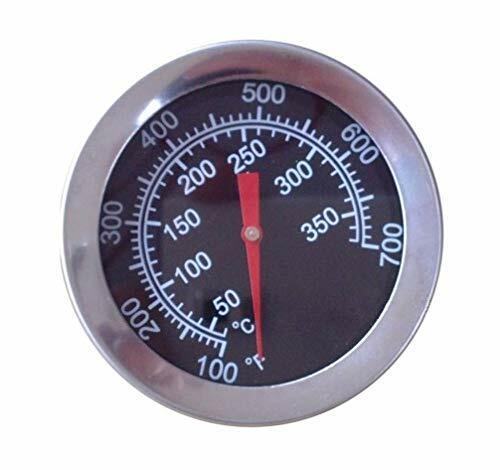 Diameter of the thermometer is 1-13/16″. Length of the probe is 1-1/2″. 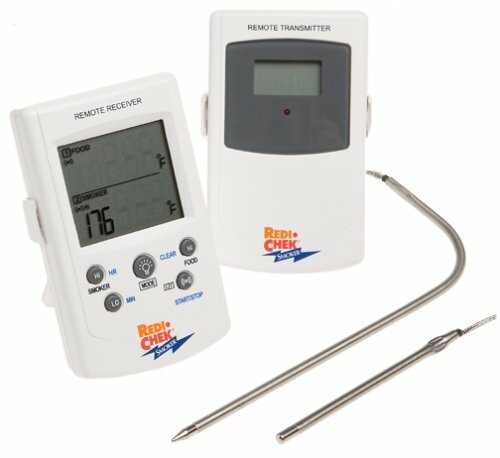 Fits Weber Q 120, 220, 300, 320 Grills (2007-2013) that came with a thermometer. Model part numbers: 424001, 426001, 516501, 516801, 566001, 566002, 566801, 567798, 586002. 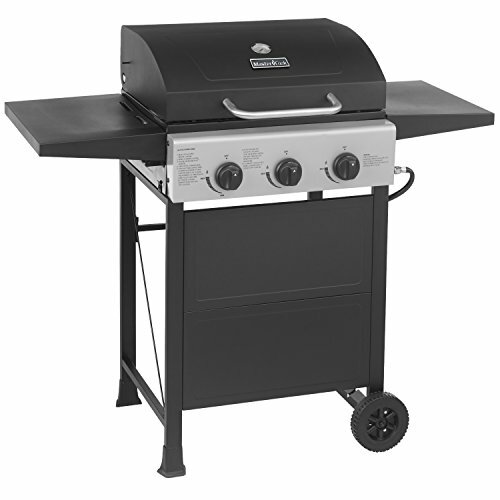 Fits Weber Spirit 200 and 300 Series Grills from (2007 to present). Model part numbers: 3711001, 3720301, 3721001, 3730001, 3731001, 3811001, 3820301, 3821001, 3830001, 3831001, 4411001, 4411411, 4420201, 4420301, 4421001, 4421301, 4421411, 4430201, 4430301, 4430411, 4431001, 4431301, 4511001, 4521001, 4521301, 4530401, 4531001, 4531301, 46100001, 46110001, 46113101, 46310001, 46500401, 46510001, 46513101, 46700401, 46710001, 46800401, 46810001, 47100001, 47510001, 47513101, 47700401, 47800401. 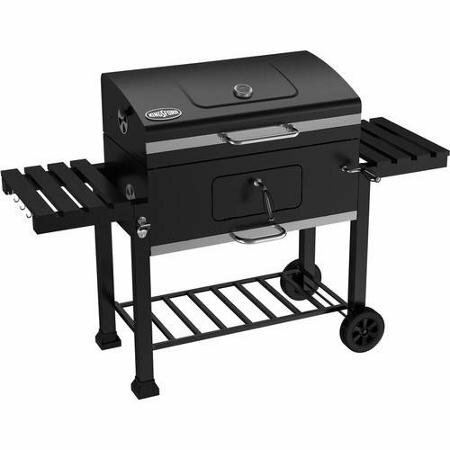 Fits Weber Charcoal Grills with model part numbers: 771001, 781001, 801001, 821001, 821020, 827996, 841001, 1351001, 1361001, 1401001, 1411001, 1421001, 1424001, 1427001, 1427995, 1428001, 1431001, 1481001, 15301001, 15401001, 15501001. 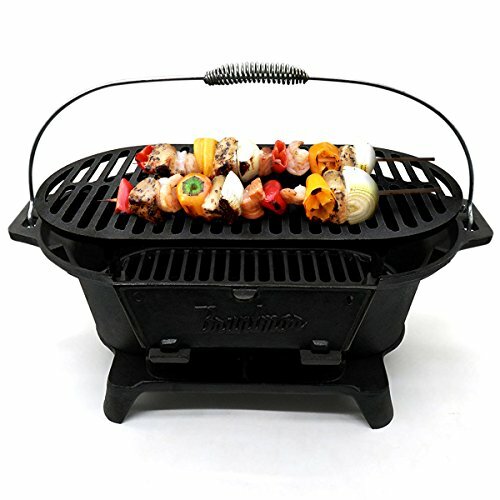 Also fits a SOME Weber Genesis Grills (manf. 2004-2005), model part numbers: 6211001, 6211398, 6211411, 6221001, 6221398, 6221411, 6231001, 6231398, 6231499, 6311001, 6311398, 6311411, 6321001, 6321398, 6321411, 6331001, 6331398, 6331499, 6711001, 6711301, 6711411, 6720801, 6721001, 6721301, 6721411, 6731001, 6731301, 6731411, 6740001, 6750001, 6770001, 6780001, 6811001, 6811301, 6811411, 6821001, 6821301, 6821411, 6831001, 6831301, 6831411, 6840001, 6850001, 6870001, 6880001.